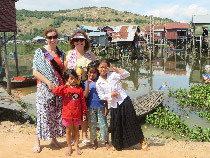 All our Laos tours will bring you the destination as close as possible! 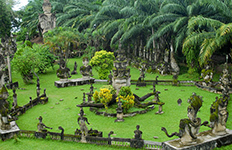 Once known as the Kingdom of Lan Xang, or One Million Elephants, Laos was a prosperous kingdom. 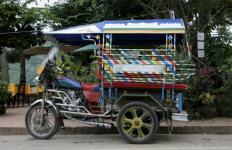 Today Laos is one of the poorest countries in South East Asia, but is growing in popularity as a travel destination. 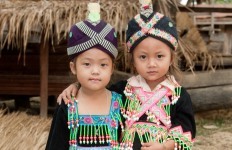 For travellers wanting an authentic, cultural, and “off the beaten track” experience, Laos is the perfect destination. 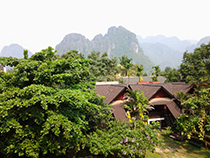 With wild jungles, beautiful countryside, and chilled out towns, Laos is often compared to Thailand thirty years ago. 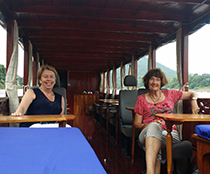 Laos people are very relaxed, and to really enjoy Laos, one must slow down and soak up the atmosphere at Laos speed! 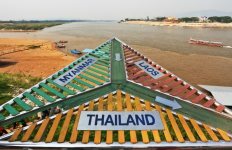 Much of Laos is mountainous with the majority of people living in lowlands along the mighty Mekong River, which is the lifeblood of Laos and forms the border with Thailand and Burma. One of the most ethnically diverse countries in South East Asia, Laos is home to forty seven ethnic groups, most of whom have kept their own customs, dialects and traditional dress. The town of Luang Prabang is the leading attraction with its glittering ancient temples, saffron robed monks, authentic textile villages and sleepy riverside atmosphere. The mountainous north and southern provinces offer excellent opportunities for outdoor activities such as trekking, mountain biking, kayaking and canoeing. And the mysterious plain of jars promises fascination for all visitors. 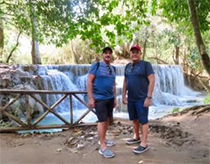 For an authentic Laos holiday experience with your own private local guide in each location and travelling in comfort and style, experience Laos your way, with the leader in private Asia travel - GetAboutAsia. We also offer small group tours designed for a lower budget or solo travellers who still seek for an authentic experience! Contact your Asia Travel Expert now and create your personal itinerary! 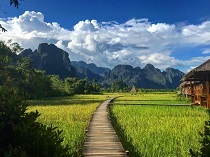 Experience the Highlights of Laos, starting in the sleepy riverside capital of Vientiane and travelling to the enchanting town of Luang Prabang with its colonial architecture, saffron robed monks, Pak Ou Caves and other attractions. 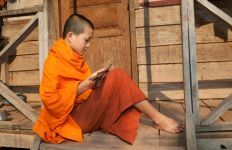 On this Classic Loas trip see monasteries, saffron robed monks, colourful markets, ancient caves and waterfalls in Luang Prabang and Vientiane, before experiencing the four thousand island region and the Bolaven Plateau in Pakse. 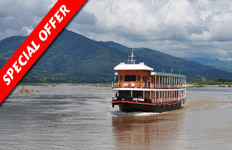 Northern Laos is a mountainous tapestry of rivers, forests and traditional villages. You may encounter the local villagers harvesting river weeds, distilling Lao whisky, fishing with nets or harvesting river shrimp. The World Heritage town and former royal capital of Luang Prabang has stunning colonial architecture, ornate monasteries and colourful markets. 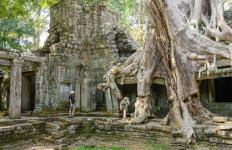 See saffron robed monks, Pak Ou Caves, and Kuang Si Waterfalls on this short stay. 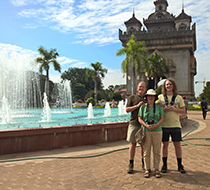 Vientiane is the tranquil capital of Laos with a kaleidoscope of architectural styles and influences ranging from traditional Lao to Thai, Chinese, French, Soviet and American. Discover crumbling French mansions and ancient temples. 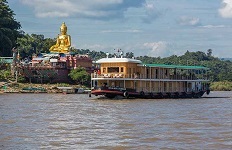 Pakse sits at the confluence of the Mekong River and Se Don (Don River) and is the riverside capital of Champasak Province. 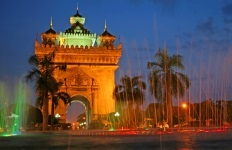 It's the gateway to the south and to the four thousand islands of Si Phan Don in the Mekong River. 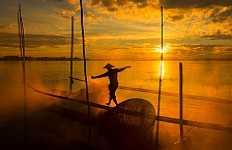 A 16 journey through the unceasing landscape of Laos with all its treasures. 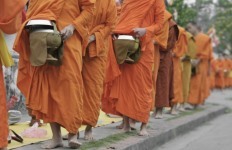 Jetset through Laos visiting the must-see attractions of Vientiane and Luang Prabang in five days flat! 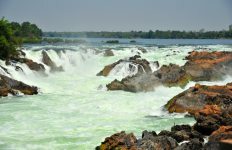 If you’ve got less than a week and you want to be whisked around without any fuss, this is the Laos itinerary for you. 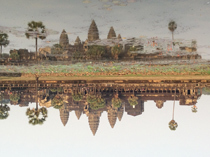 Experience the Highlights of Laos and Cambodia, from the sleepy riverside capital of Vientiane to the enchanting town of Luang Prabang in Laos, and from Phnom Penh to Siem Reap, home to the fabled city of Angkor in Cambodia.